Laís Kiehl is a Linguistics major at the University of Illinois at Urbana-Champaign. He composed this blog entry on Irish language teaching and language revival in the ‘Language and Minorities in Europe’ (LING 418) course in the spring of 2013. As we all know, English is the vast majority language spoken in the Republic of Ireland. But did you know that Irish Gaelic, even being considered a minority language, is actively taught in schools? 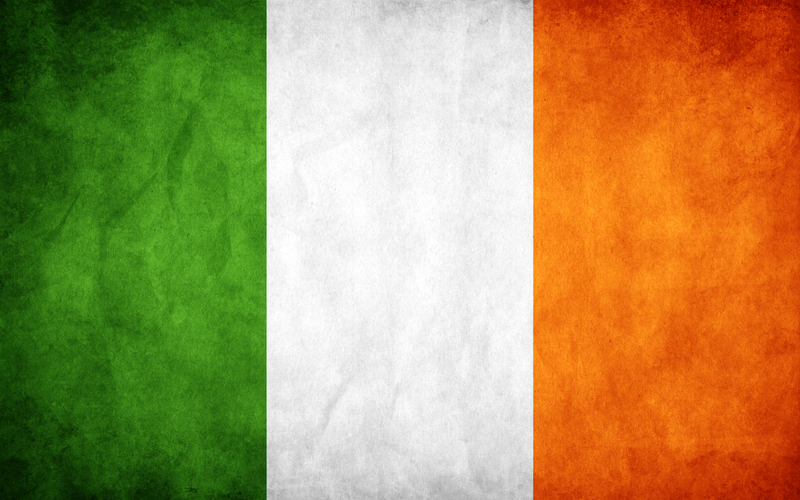 Irish enjoys a prestige status in Ireland, as it is the national and first official language of the Nation. 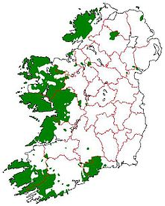 However, it is not the first language spoken by a long shot -- only 3% of the population, located in the Gaeltachtaí, an Irish language speech community, speak Irish as a first language (O Laoire, 2012). Merely looking at that little percentage may cause you to think that Irish is a dead in the water language. You would be mistaken. The ardent protectors of Irish Gaelic can take pride in saying that intensive efforts have always been made to teach Irish to the entire population as part of the process of language revitalization. Ireland has developed and implemented language maintenance and language revival policies since gaining independence from British rule in 1922. At that time, the new Irish government targeted a bilingual state in which both Irish and English would be used, and language policies were created to support that goal (Coady, 2001). Since the 1920s, not only were schools in Ireland expected to teach the Irish language as a subject to native English-speaking students, but they were also asked to use it as a medium of instruction in immersion-type programs in primary schools (O Laoire, 2012). In an effort to revitalize Irish, a strong political stance on the language was being taken by the state. In fact, state language planning efforts to restore Irish centered mainly on the education system in the hope that Irish would become the language of work and play in schools. According to the article by Maria Coady, Attitudes Toward Bilingualism In Ireland, two models of teaching emerged. The first model was to teach through the medium of English, with Irish as a compulsory school subject. The second model used Irish as the medium of instruction in schools either partially or fully. In the 1930s and 1940s, the teaching methods were considered as traditional and rigid. These methods included teachers focusing on Irish grammar and placing less emphasis on oral ability (Coady, 2001). Teachers' competence was based exclusively on how well they could teach the Irish language, as opposed to their teaching competence in other subject areas. During that time, Irish should be used as the sole medium of instruction and activities during the first 3 years of schooling. The intensive promotion of bilingualism through the schools was unsuccessful, however, and towards the end of the 1940s, the immersion schools decreased in number (Coady, 2001). Since the early 1970s, the number of Gaelscoileanna (all Irish-medium schools) has continued to increase.The number of these schools began a gradual increase in the early 1970s until their substantial growth throughout the 1980s (Coady, 2001). This growth can be attributed to parents realizing the advantages of immersion schools, smaller classes and more equipment. Two main problems rose with the immersion schools in Ireland; (1) parents were concerned that their children’s progress in English would be delayed; and (2) parents would be torn between confidence that English is the means for social and global economic access, and knowing that Irish as a minority subordinated language gives access to strong cultural identities. 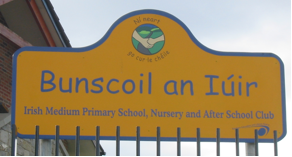 To this day, 125 primary level non-Gaeltacht Irish medium schools exist throughout Ireland (Coady, 2001). And this number is expected to keep growing in the future. The Irish are profoundly proud of their culture, and a big portion of this culture is certainly made up of their their language. Irish may be the minority language spoken in the island, but it ranks as the majority language in the hearts of the population. (2001): 39-58. ERIC. Web. 11 Mar. 2013. Issues." Language, Culture And Curriculum 25.1 (2012): 17-25. ERIC. Web. 27 Mar. 2013.